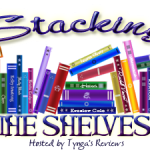 Stacking the Shelves (308) – Escape Reality, Read Fiction! This stack is extremely short. So short that I actually looked for books to buy so this cupboard didn’t look quite so bare. 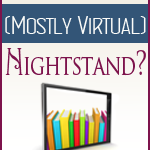 Which is really weird, since the towering TBR pile, while virtual, looms very, very large indeed. I think it’s also an issue that things just didn’t look good to me – not that there isn’t plenty out there. But the political situation in the US has become so depressing that I’m not able to be absorbed in books the way that I normally am. I’m bouncing off a lot of things because I just can’t get my head to stop whirling – with all the nausea that accompanies the whirls. 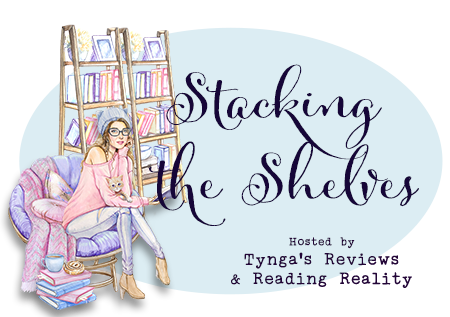 Any recommendations for books that are so absorbing that they make the world go away would be much appreciated! I just finished The Girl in 6E by A.J. Torres, and it is a very dark thriller. I already requested the second book in the series from the library. 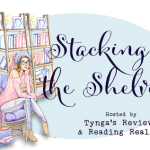 My last 5-star read was Sky in the Deep by Adrienne Young. The protagonist is a kickass Viking heroine! 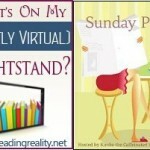 Pingback: The Sunday Post AKA What’s on my (Mostly Virtual) Nightstand 10-7-18 – Escape Reality, Read Fiction!